Walking into the Phi Centre in Old Montreal on a Friday morning, it’s fair to say that a room filled with musicians have never been so quiet. 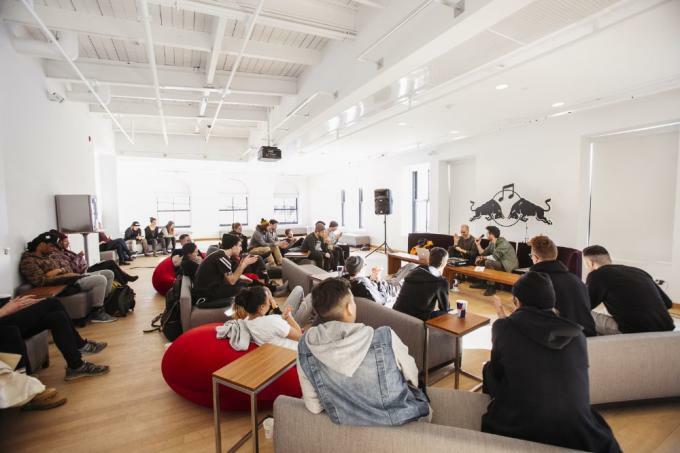 It’s the first day of RBMA Bass Camp Montreal, and participants sit scattered around the room, some perched on bean bag chairs, some on benches, all in total silence, either battling nerves or eager to learn. Probably both. This group of twenty producers and performers have been culled from across the country to participate in a kind of musical meeting of the minds. 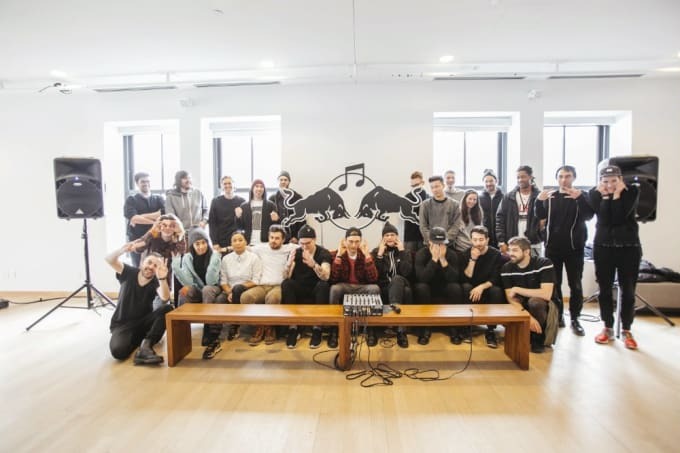 Red Bull Music Academy has hand-picked these young talents to witness and take part in a series of lectures, studio exercises, and performances designed to help them hone their talent, and facilitate collaboration between participants. In other words, it’s the raddest summer camp any musician could hope to conjure. We’re lucky enough to sit in on Day 1 of Bass Camp Montreal’s four day clinic, which begins with participant introductions. As each Bass Camp attendee answers a few questions about themselves and plays two minutes of something they’re working on, it’s an exercise that could easily get tense, were it not for the encouraging, nurturing atmosphere. For the participants, it’s not so much an opportunity to flex—it’s more like a chance to feel out the rest of the crop, and see who you might want to work with over the course of the weekend. Still, it feels a little bit like that scene in Mighty Ducks: D2, where a group of ringers with varying special talents are brought in to help the Ducks bring home a win for America. Like that, but with drum machines. As producers cycle through their tracks, it’s evident that the bar is set high this weekend. “Way, way, way up,” to quote one notable Toronto scholar. The fresh-faced youngling Tennyson made his way to Montreal all the way from Edmonton, with his jazzy, sound design heavy production skills. 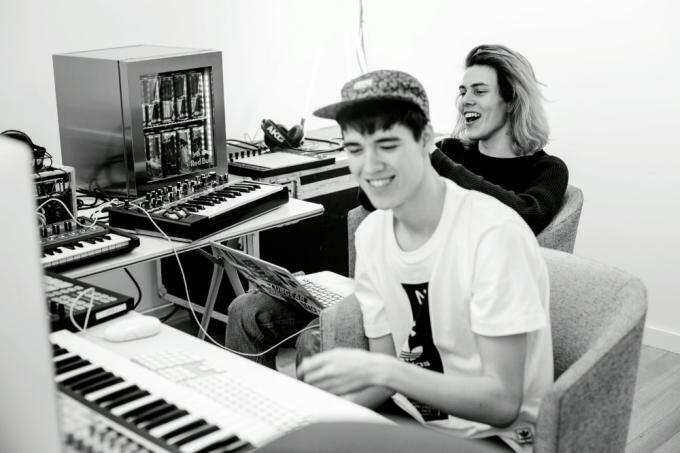 A crucial co-sign from Ryan Hemsworth has given the 18-year-old some attention, but he’s not the only one at Bass Camp with a rising profile. Toronto multi-instrumentalist River Tiber recently had his original song sampled by Drake (his voice can be heard on “No Tellin’”), and he also contributed cello, violin, and trombone to “Ray Gun,” from the recent BADBADNOTGOOD/Ghostface collaboration. There’s plenty to buzz about at Bass Camp, but the one thing each of these 20 participants have in common is talent. This room is brimming with creativity, and watching everyone vibe out to one another’s tracks bodes well for this weekend’s collaborative aspect. Once everyone was acquainted, it&apos;s time to sit in on the first lecture of the weekend. 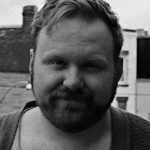 Performing the night before, Montreal producer Philippe Aubin-Dionne, a.k.a. Jacques Greene gives Bass Camp attendees an oral history of career, from his early beginnings trading messages back and forth on Myspace with Rustie, to being asked to do a remix by Radiohead. He even fesses up to the origin story of his name. Seeking some honest feedback from his record label Lucky Me, Philippe sent over some tracks, saying they were by a “friend named Jacques from Montreal.” Once Lucky Me expressed interest in working with Jacques, Philippe had no choice but to reveal that it was actually him, and Jacques Greene was born. 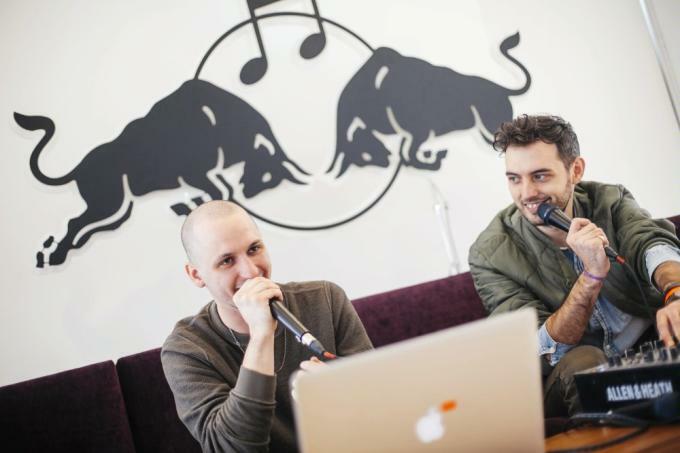 After Jacques Greene’s Q&A, Bass Camp Montreal took over the Phi Centre’s numerous recording studios, and the participants hit the ground running. The studios have an open door policy, with Bass Camp’s attendees free to roam from room-to-room, offering ideas, or just listening intently as collaborations unfold. As a special treat, legendary New Orleans hip-hop producer Mannie Fresh stopped by the Phi Centre before his scheduled performance with DJ Quik. 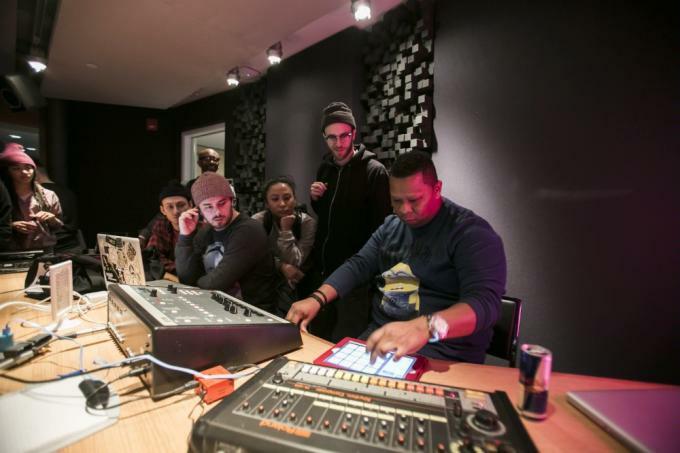 He gave Bass Camp attendees a tutorial on the E-Mu SP-1200 drum machine and sampler, one of the tools that defined the sound of early hip-hop. With creativity flowing, it’s obvious this environment will breed innumerable collaborations, both for this weekend, and beyond. If they weren’t watching before, they are now. Read our series of RBMA Participant Q&As here.